Quirky murder mystery from a New York Times bestselling author. A high-flying police administrator, seconded to a quiet rural CID team to gain the operational experience, is thrown into a high-profile murder case. 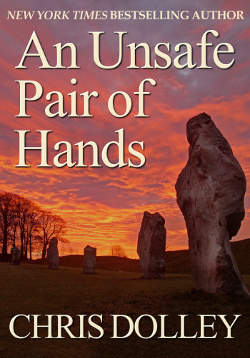 A woman’s body is discovered in an old stone circle – with another woman buried alive beneath her. The pressure on Shand is enormous. The case is baffling. The media is clamoring for answers. And Shand responds by inventing a lead, and keeps on lying – to the press, his boss, his team – telling himself he’ll solve the case before anyone finds out. And then another murder occurs. And had there been a third? Shand begins to doubt his ability. He’s desperate, increasingly unpredictable, pursued by an amorous psychic, and somehow gaining a reputation for arresting livestock. Which will break first? The case, or Shand?